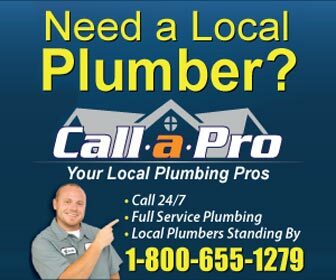 Find plumbers in Providence, RI for all of your plumbing project and plumbing emergency needs. From water heater repair and drain cleaning in Providence to emergency sewer repair and water leak detection - find the right, licensed Providence plumber for the job. Providence, Rhode Island is the state capital. In fact the full name of the state is "The State of Rhode Island and Providence Plantations." That makes Rhode Island the smallest state with the longest name. In recent years there have been numerous efforts to drop the Providence Plantations from the state name since it may be offensive to some. The name is historic and hopefully these repeated efforts will continue to be defeated. We don’t want Roger Williams, the founder, to turn over in his grave. The city has a population of over 172,000 in about 20 square miles. This makes it the third largest city in New England and when you total the population in the Providence Metropolitan Area it is the 36th largest in the country with a population in excess of 1,600,000. That figure includes a number of Massachusetts cities and towns including Fall River. There is good news and bad news for the city of Providence. The good news is that there are seven colleges and eight hospitals in the city. The bad news is that they don’t pay taxes. The city has worked out a payment plan for some of these institutions so that they do pay a portion of what the tax bill would be.